The H34 tungsten carbide crown remover from KOMET is designed to remove metal crowns safely and effectively. 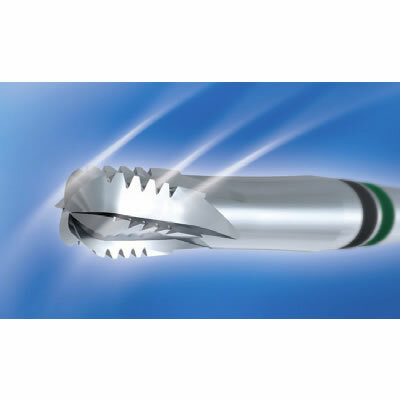 It cuts metal easily, providing dentists with maximum benefits because of its extra aggressive crosscut toothing. Large chip spaces allow quick chip removal and prevent clogging. Maximum efficiency is achieved when the H34 is applied to the crown surface at a 45-degree angle.